Founded by body positivity advocate Stephen Bell, Portrait Positive is a collaboration between the UK’s disfigurement charity Changing Faces and womenswear designer Steven Tai to challenge perceptions of beauty with a series of beautiful portraits of 16 women with visible differences, shot by world-renowned photographer Rankin. CLAPA was thrilled to be involved with this project and to put forward five models from our community of adults born with a cleft. On Sunday 16th September, some of these models took to the catwalk as part of Steven Tai’s London Fashion Week presentation, as seen below in this stunning video. CLAPA believes that every smile tells a story, and that everyone deserves a chance to see themselves reflected and represented in a positive way. For far too long, the fashion world has shunned diversity in favour of showing us a very narrow perception of beauty which doesn’t reflect the overwhelming majority of people, let alone the 1.3 million people in the UK which Changing Faces estimates have ‘significant disfigurements’, or the 90,000 people CLAPA estimates were born with a cleft in the UK. Portrait Positive is a groundbreaking campaign which saw 16 extraordinary women take control and use fashion to express what makes them unique in these bold, joyful portraits by Rankin. A leading fashion designer is using Britain’s biggest style event to try to challenge perceptions of beauty. 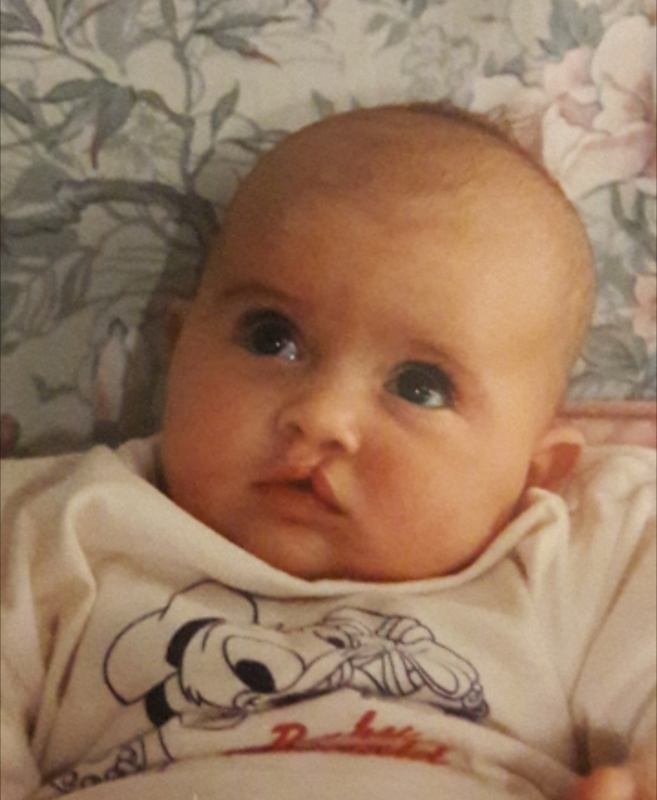 Beth, then 21, was born with a unilateral cleft lip and palate. She now works in PR in London. Here, she shares her story and her experiences of being a part of Portrait Positive. One in every 700 babies born around the world have a cleft – that’s about 120 people at a full Wembley Stadium, or about 11,000 in all of London. But where are they all? I was born with a unilateral cleft lip in the mid-nineties. I had my first reconstructive surgery at three months old, and thus followed a fairly straightforward childhood, with only the odd scar revision or occasional fat graft to worry about. Now that I’m older and know how to use a foundation brush, my scar mostly goes unnoticed, but when I was growing up it often felt like it was the only part of my face anyone would be able to see. A cleft lip and/or palate is the most common craniofacial abnormality there is, but in my life, I’ve been aware of less than a handful of people with a cleft in any of the fashion, beauty or entertainment industries. More worryingly, one of that handful was singer Danny Tetley, who I first heard of when he was referred to as having ‘a face like a dropped pie‘ on ITV’s Benidorm last year. I have had my own share of offensive comments and questions, be it from well-meaning strangers or my less well-meaning teenage peers. I’ve been asked why I bothered wearing lipstick when my lips were so messed up; I’ve been told my face was so flat it looked like I’d been hit with a spade. I always laughed such comments off and pretended I didn’t care, but the truth was I was very self conscious of the fact that I didn’t have the perfect, balanced features that my friends did. Had there been more people with visible differences in the media back then, perhaps it would have taken me less time to achieve the level of self-acceptance and confidence I have today. Generally, having a cleft didn’t bother me too much growing up, but there were certainly times when I wished I has been born ‘normal’, if only so I’d stop being asked what was wrong with my face. It’s difficult to challenge negative perceptions of people who look ‘different’ when we aren’t given opportunities to make ourselves visible. And if there are opportunities, perhaps we don’t grab them because we struggle to believe we belong in places typically dominated by conventionally beautiful people. The need for diversity in the beauty and fashion industries may have sparked discussion in recent years, but there is still work to be done towards wider acceptance of people who don’t fall within the narrow lines of traditional attractiveness. When I heard about Portrait Positive through CLAPA, I was completely taken with the idea. We’re used to seeing able bodies, unblemished skin and symmetrical features on our screens and in our magazines, and I was overjoyed by the chance to join a group of women who could come together to create something different. The other fifteen women involved in the project have such incredible stories to tell, and I feel humbled and inspired by each and every one. I know that I’m not alone in hoping that Portrait Positive is the start of something much bigger. 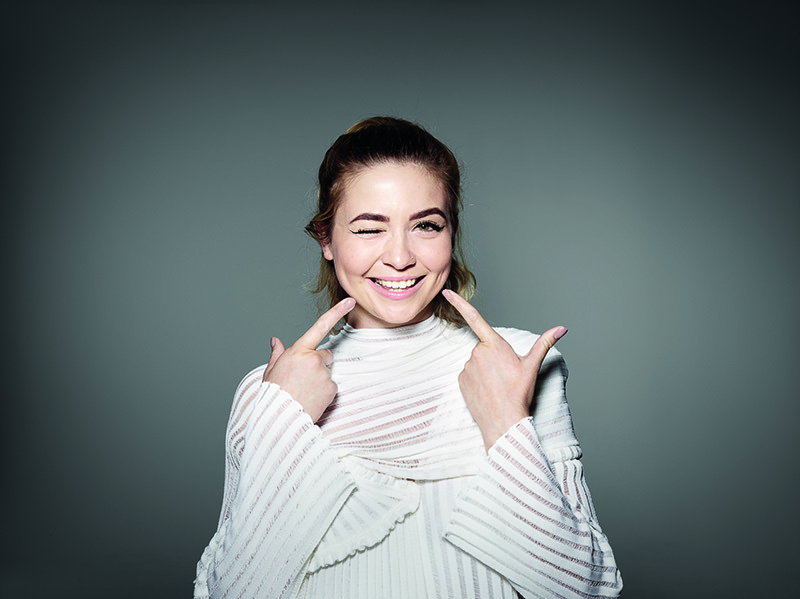 I rarely get comments on my cleft anymore – in fact, sometimes people are surprised when I tell them – but I know how grateful I would have been as a teenager to see someone with a cleft in a book or on TV, and to understand that having a scar isn’t something that takes away from my beauty- it is just another part of me. Being part of this project has been nothing short of amazing. I have enjoyed every moment of sharing my story on my journey to finding self confidence and learning to love myself. I hope other people facing the battles I had will learn that being different is a positive thing and that scars and disfigurement make you YOU! I spent way too long worrying about how I looked or what people may think of me, but now I don’t care because I know that I’m my own version of beautiful. 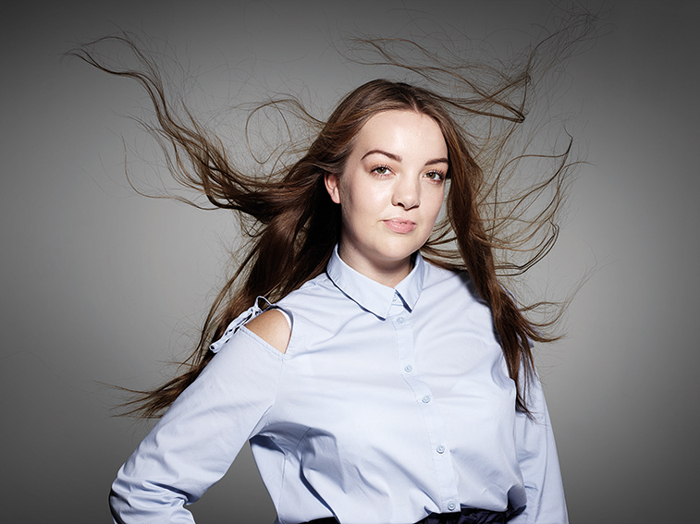 Seeing myself in the photos Rankin took really made me emotional, because for the first time, I actually enjoyed having pictures taken and I enjoyed looking at each and every one because they were amazing. I really hope we inspire other people to love themselves, whether they be scarred, disfigured or maybe just unhappy with themselves in general, I also hope models like us become a normality in fashion and on the catwalk and not always to be known as ‘breaking the stereotype’.